I just joined up after I saw the team at Dekalb. My 8yo son got me back into kiting after a *cough* 20+ year absence. 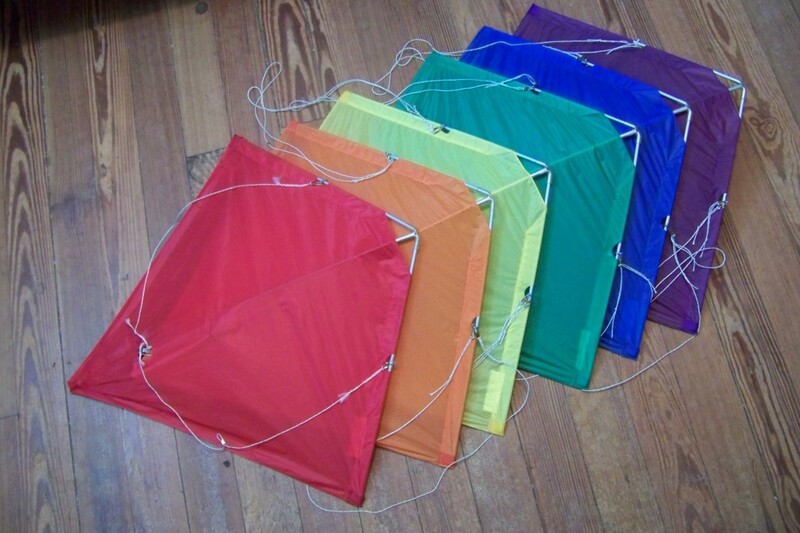 Back in jr. high school, I bought a Rainbow two line stunt kite (anybody remember those?) and had a lot of fun with it, but somewhere along the way I forgot to "go fly a kite." This spring, I took my son to the Wheaton kite festival, and now we're both hooked. I bought my first (old,used) Rev SLE and am hooked on quads, while my son loves flying dual lines . . . and is itching to try the Rev. I'm looking forward to unlearning my ancient dual line habits, and teaching him once I can keep the Rev up in the air a bit better than I can at the moment. If anybody wants to teach a newbie in the western 'burbs, just send me a note and I'll try to meet up. I'm hoping to leave work early tomorrow (Friday) to go kite flying with my son since the forecast looks like 20 mph winds in the afternoon. Don't forget the Quad Cities festival this weekend. 180 GO! will be there for demos and there's lot's of room for sport kite fliers. I had a stack of 'em. They were my first stunt kites too! It was good to meet you at DeKalb. Try to make it out the festival this weekend, it's your best bet to get some tips. I know it's a drive, but most of our club meetings will require a drive too since we're so spread out across the state(s). EDIT: oh yeah, you already said you can't make it this weekend. Mike wrote: Rainbow stunters like these? Aha! Thanks for remembering me from Dekalb. Yes, exactly like those. However, being in Jr. high at the time . . . I could afford one kite (but wished I had a stack). Still got the original one kite though. I wish I could make it to QC this weekend . . . . but I think it is not to be. Wind is good today . . . I'm going outside! And . . . . rev flying just got more expensive (and fun) for me. My son started on the rev last Friday . . . and he's already said they're more fun than his dual lines. Looks like I'll need some more kites . . . .
And the wind was pulling a lot . . . . so his 55 lbs was not much to hold the 1.5 . . . he had fun though . . .
Last edited by goestoeleven on Tue, Sep 28 2010, 12:11 AM, edited 1 time in total. Now you now why quad flying is often referred to as the dark side... it just pulls you in, slowly but surely.